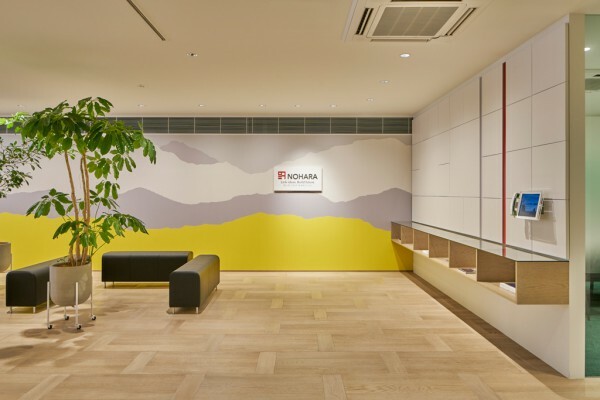 We performed the interior design for the first-floor visitor space and eighth-floor company workspace in the headquarters of Nohara Group, which manages sales of building materials and construction projects. 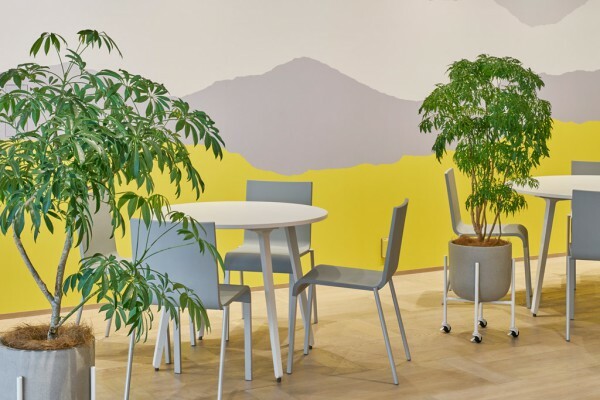 Deliverables included a first-floor visitor space where clients are greeted by an entrance and a conference room, as well as an eighth-floor workspace that allows a more creative work style to bring out ideas from staff. 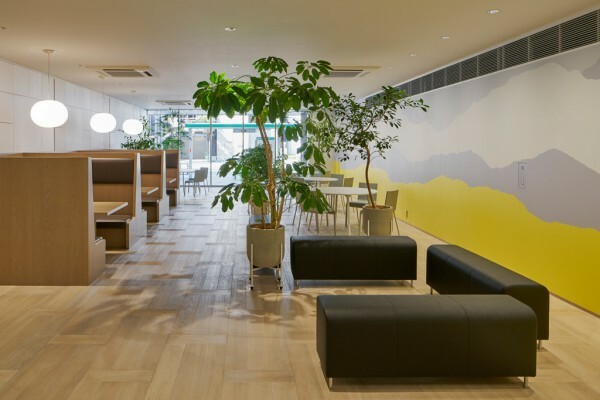 In the first-floor visitor space, we arranged a meeting booth and bench on the side that faces the road with natural light, while on the opposite side we arranged a conference room. 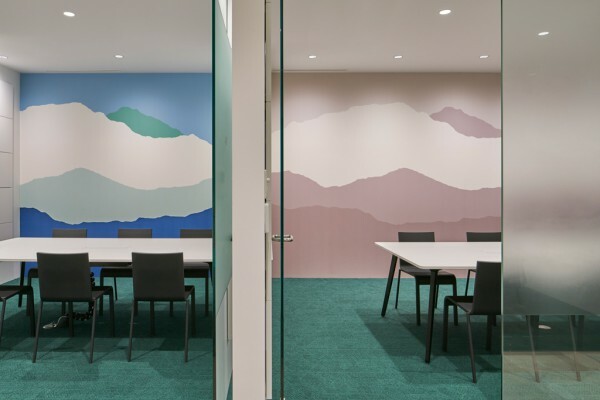 We gave a sense of unity to the space by applying wallpaper developed by Nohara, with the same pattern as “WhO” but a different color, on the long wall that continues to the back end and crosses over to the conference room. 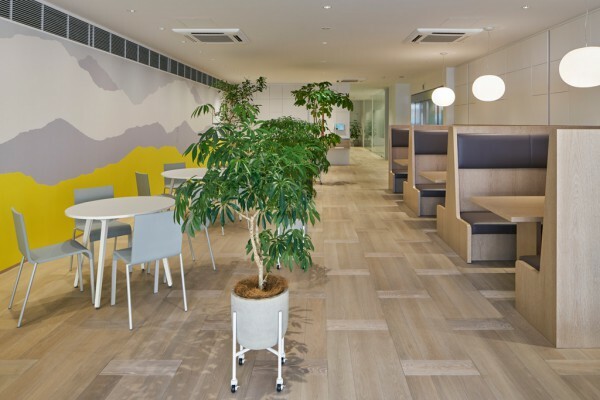 In addition, by using patterned tiles for the flooring, we gave rhythm to the space. 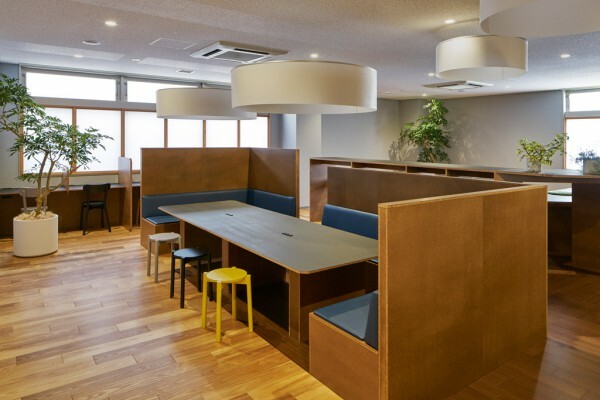 The facilities can be used according to the desired style thanks to the open waiting and meeting area seats, half-closed booth seats, and private conference room. 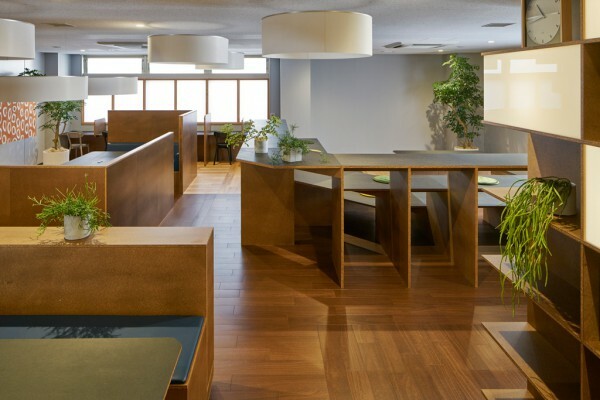 For the eighth-floor workspace, we zoned and defined the space by using large furniture with various shapes and characteristics that allows it to be used selectively according to work style. 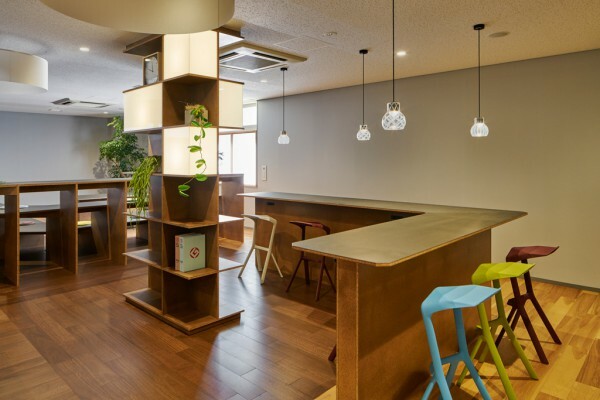 It is composed of staircase furniture, booth seats on an elevated stage, L-shaped sofa seats enclosed from behind by low walls, and high counters surrounded by tall racks. 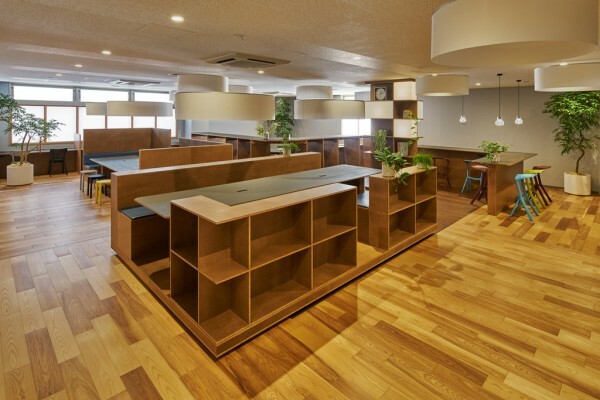 While normally a base material, particle board was used as a material to bring commonality to the different furniture. 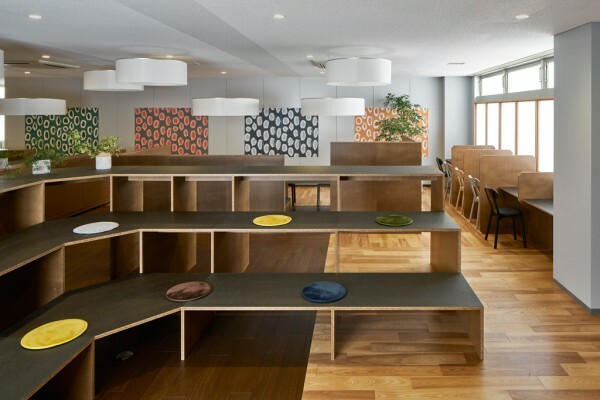 As seen in the large furniture on top of a rug, the flooring placement and switching between colors gives the furniture a sense of cohesion. 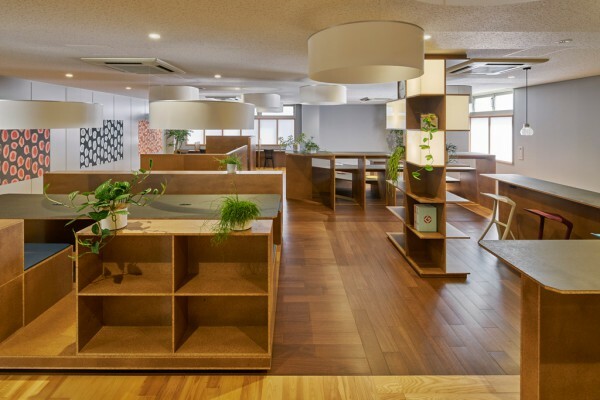 Furthermore, the ring-shaped decorative ceiling material CARLTON CLOUD, also a product of the product development at NOHARA, accentuates the space. 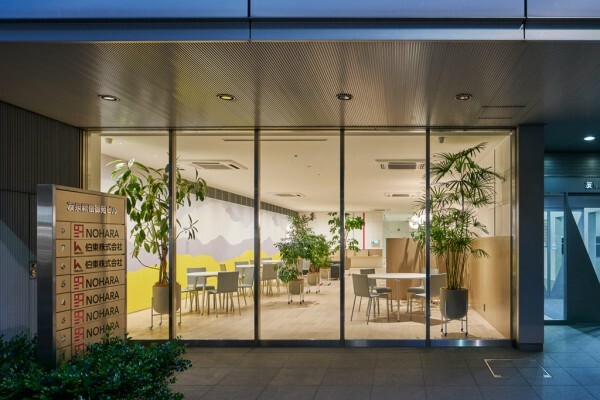 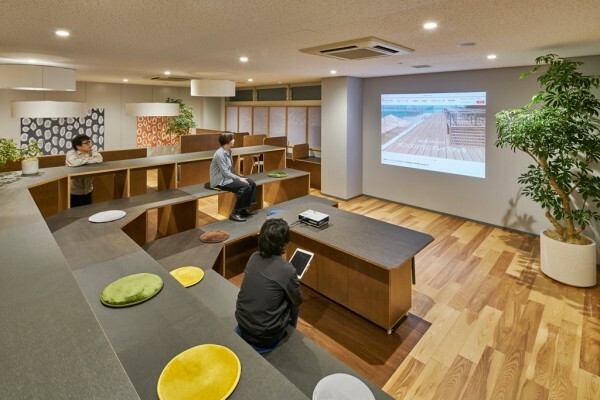 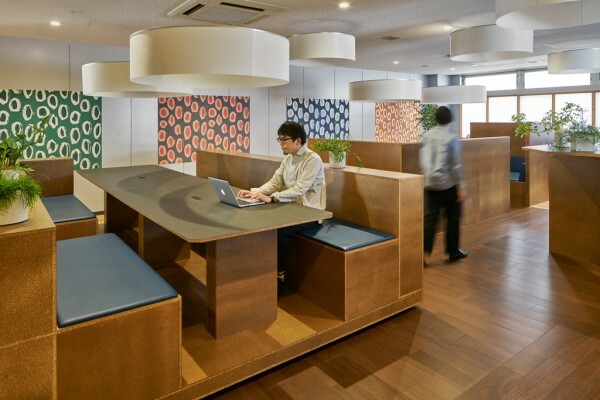 By using building materials carried by Nohara everywhere, we aimed to create a space that allows for diverse work styles that does not look like a showroom.